You have to be where the fish are to catch the fish for sure! Good times and great rod bending action! 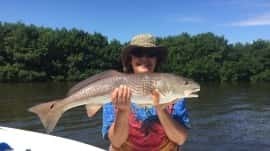 Call to book your trip and we will enjoy the natural beauty of Tampa Bay and catch fish!